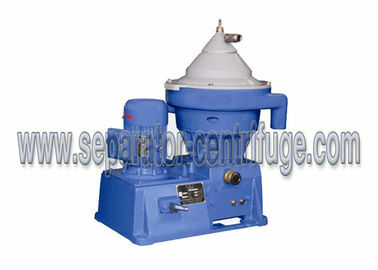 Model PDSD6000- B1317Z separator is mainly used to remove water and mechanical impurities from diesel oil, lubricating oil and other mineral oil in marine diesel engine unit and land-used diesel generator unit of power station so as to reduce wear of the diesel engine and other machine, and prolong engine life. The model is also used to separate two unsolvable liquids with different specific gravity or remove small amount of solid particle from liquid. 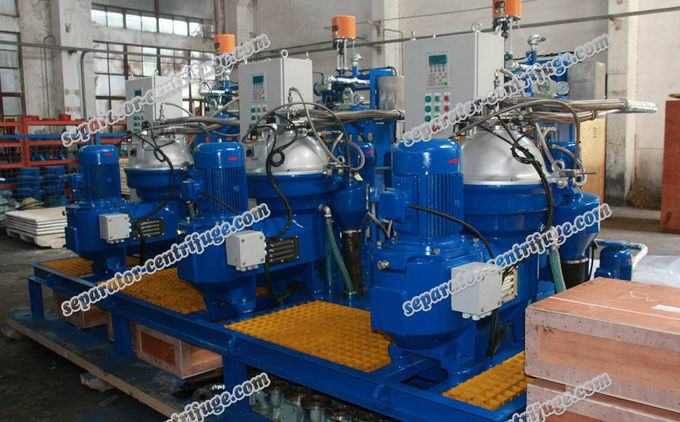 The clear oil and dirty water are pumped out by centripetal pump, the sludge is discharged automatically and fully. 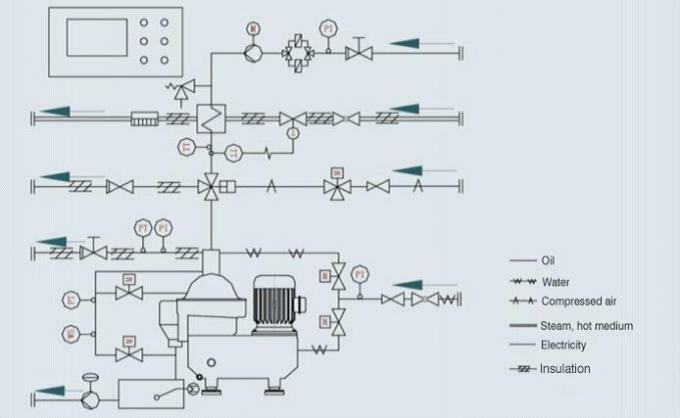 Water Control: Automatic control unlocking water, sealing water and water-seal/water switching. Pneumatic Control: Filter and adjust compressed air, control three-way changeover pneumatic valve. 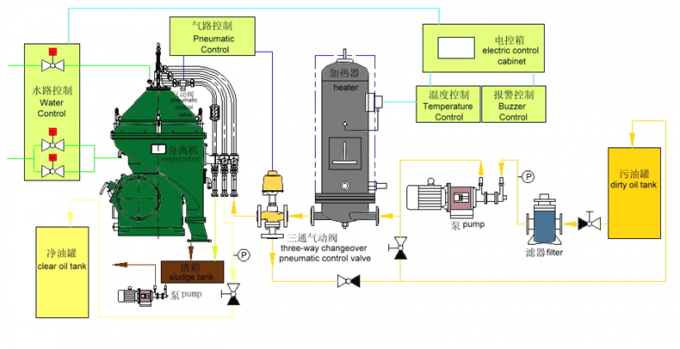 Temperature Control: Automatic control the temperature of the oil line, also control separately or with electric control cabinet at the same time. Buzzer Control: Monitor oil temperature, pressure, over loading, non-discharging and leaking, and Offer a group of passive contactor stretching out to control panel. 1. According to the requirements of each classification society, all modules are equipped with oil leak alarm and high temperature alarm. 2. Oil.hydraulic,pneumatic control part adopts the Brand Baode (Germany). 3. Heater adopts brand SWEP (Germany). 5. 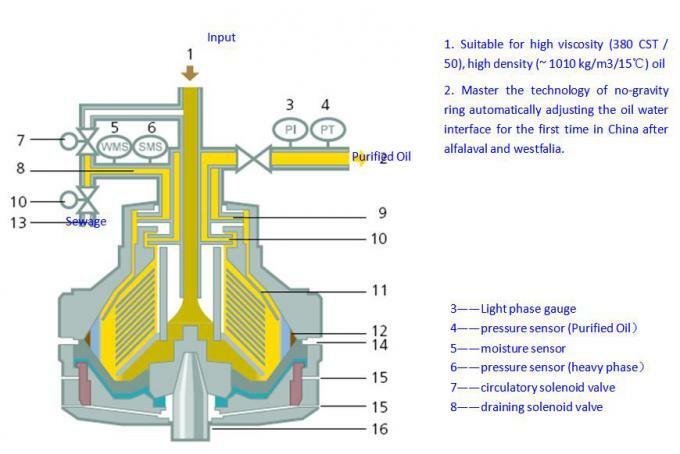 Screw pump is used instead of gear pump. 7. The main electrical components of standard electrical control box are produced by Schneider company while PLC is produced by Siemens or Mitsubishi. 8. 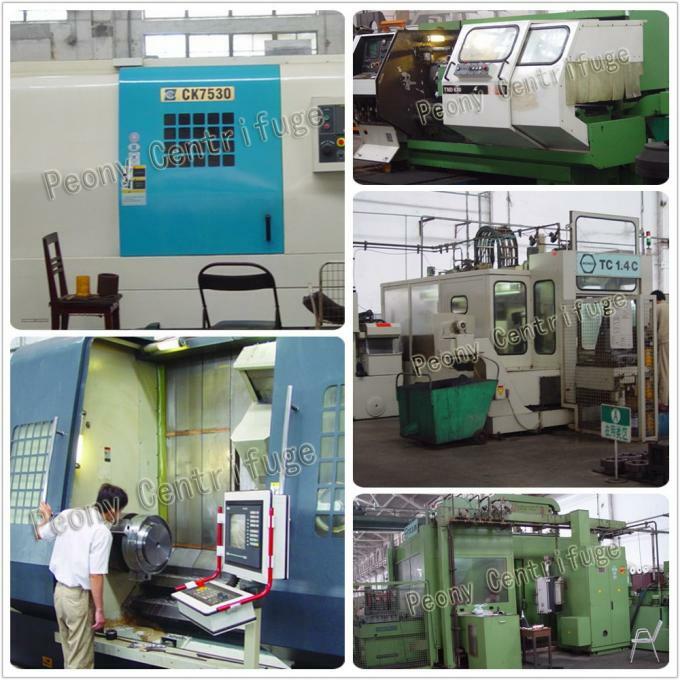 The complete sets referred above are all Peony's production of automatic Standard Controls and we certainly can modify the configuration list according to customers’ specified requirements.